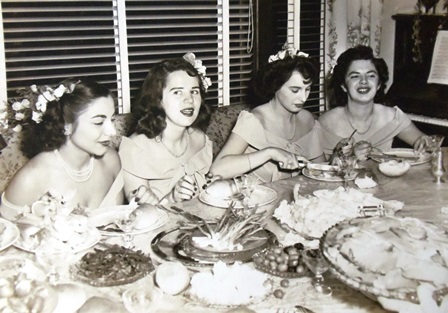 That’s how Vasiliki “Billie” Larimer (nee Babunes) referred to her mother’s group of friends who would gather at their homes for their regular sessions of sewing, cooking and sharing stories. 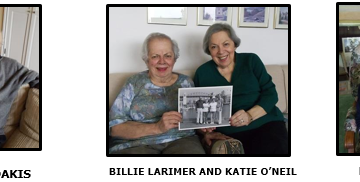 Billie and her sister, Ekaterini “Katie” O’Neil (nee Babunes) share their stories of growing up in Seattle, Washington. Their father, Stylianos (Steve) Vambounis (later changed to Babunes), came from the town of Sefrisari near Izmir (formerly Smyrna) in the province of Anatolia in Turkey. 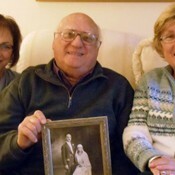 He was born in 1895, was one of nine children, five of them older sisters. His father made a meager living growing tobacco. Steve knew a better life waited for him in America. 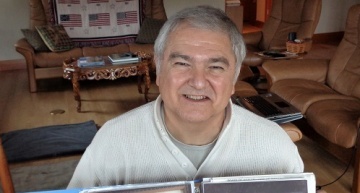 He emigrated by himself to Boston, Massachusetts, and after a few months traveled to Seattle, Washington, where an acquaintance, Ted Kranidas, had located. Steve then worked on the railroad in Concrete, Washington, until a rail fell and crushed his toe. 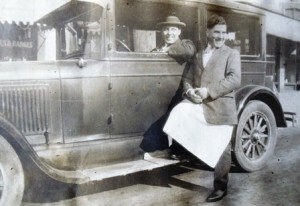 He then returned to Seattle and began his career in the food industry. 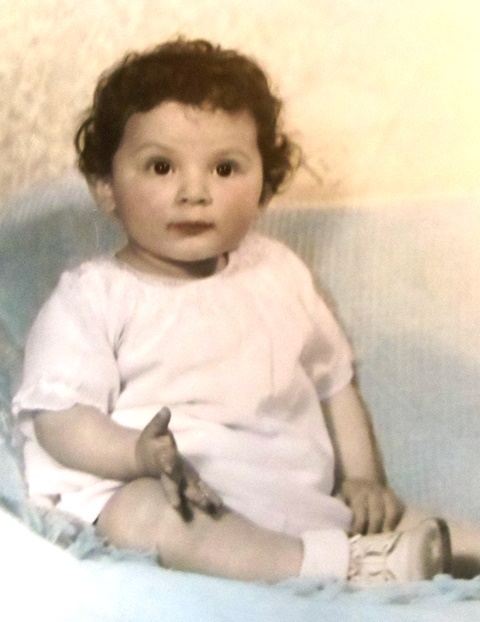 Their mother, Alexandra “Aliki” Hadzifotiades, was born on November 26, 1909, in the town of Nevsehir, Turkey, in Cappadocia, the historical region in Central Anatolia. She had one sister and two brothers. 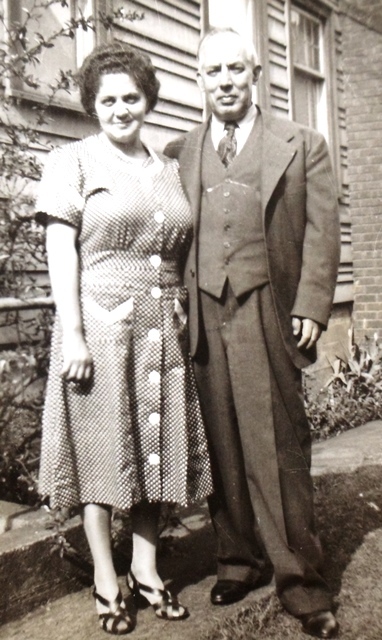 Her father was a respected pharmacist whose work was highly valued. 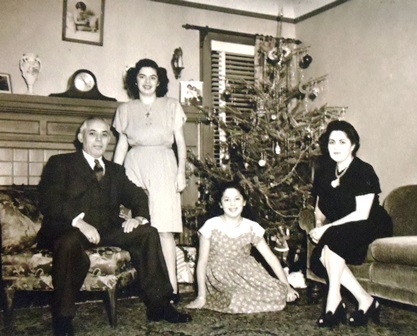 In 1923, with the mutual expulsion of Muslims in Greece and Greek Orthodox citizens in Turkey, the family moved to Athens, much to the disappointment of the Nevsehir townsfolk. In 1930 Steve was visiting his family who had also moved to Athens. His intent was to marry and a proxenia (arranged marriage) was made with Aliki. She had wanted to come to America but not necessarily to stay. Aliki’s sister had received her prika (dowry) and Aliki’s prika was the trip to America. 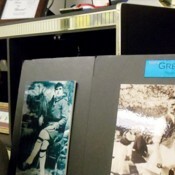 She was happy for a while but her plans to return to Greece and be near her family were thwarted with the outbreak of World War II. Aliki’s daughters, Billie and Katie, remember their mother’s tenacity, her excellent sewing and tailoring skills and her knowledge of three languages: Greek, Turkish and eventually English. Aliki encouraged her daughters’ education, having only completed the sixth grade herself, telling them, “It’s good for you.” In the 1940s and 1950s, before expansion to the suburbs, the Babunes neighborhood was considered north Seattle. It was there, and farther north in the Fremont and Greenwood neighborhoods, that Aliki would gather with her Greek friends. “The ladies of the north” would meet for crocheting, coffee and tea and kouvenda (conversation) while their children were in school. 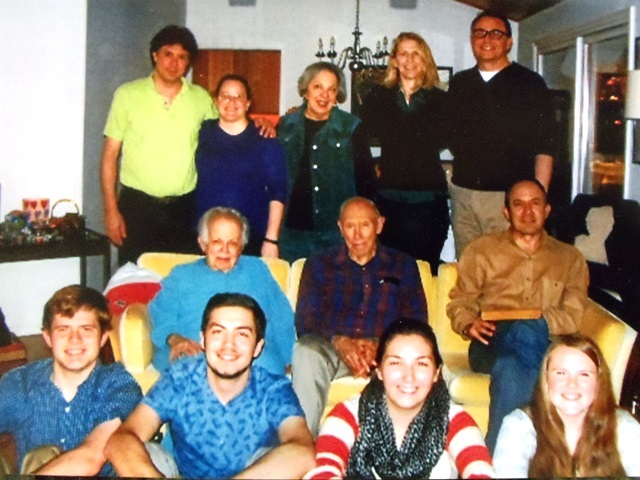 Families included Cooper, Castas, Malevitsis, Chigaras, Dimitriou, Cotton and Taylor. While their parents were visiting, the children would play and, when old enough, would take the family car to see a movie and return to pick up their parents. 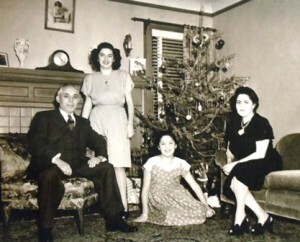 The family initially lived in the Laurelhurst neighborhood in a home Steve purchased before he returned to Greece to marry Aliki. The move to a smaller home on Dexter Avenue occurred in 1937 as a result of the Depression. However, the Dexter location was a short walk to the family business, the Fremont Confectionery on North 35th Street, which Steve operated with Ted Klieros. 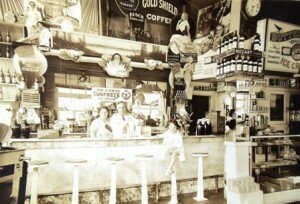 It had a soda fountain and business was good until the George Washington Bridge was built along Aurora Avenue, bypassing the Fremont neighborhood. There was not enough income for two families and Steve, having learned to make ice cream, opened the Virginia Creamery on Fourth and Virginia in downtown Seattle in 1937. Later he opened the Queen Anne Creamery, previously operated as Ping’s, a hangout for students who attended Queen Anne High School, not far from the Babunes home. Steve also delivered his ice cream by truck and Billie recalls going with him on his routes in the 1940s. 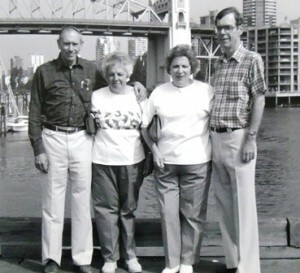 He was fortunate to purchase property on Third and Cedar in Seattle, and was able to retire in the early 1950s. Aliki was very practical. She was just 50 years old when Steve died in 1960 and did not find it necessary to wear black as has been traditional with Greek widows. Rather, she said, “Do you want the world to feel sorry for you?” And, she could not understand marrying again (as suggested by her daughters) at an older age and having to play nursemaid to a spouse. Billie was born at Seattle’s Virginia Mason Hospital on March 20, 1931. She began school at Bryant Elementary when the family lived in the Laurelhurst neighborhood. It was very hard for her as she spoke no English. She was held back for months but caught up quickly as she was anxious to learn English. Upon moving to the Dexter Avenue home, she attended John Hay Elementary and graduated from Queen Anne High School in 1949. 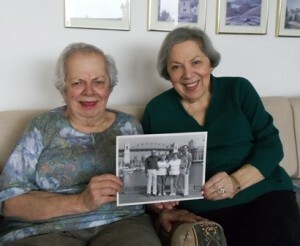 Billie remembers other Greeks including Molly Barbas Tsalaky and Zoye and Marian Marino who were also at Queen Anne High. She was working at the Bon Marche (now Macy’s) when she began attending the University of Washington with a desire to study business. However, after a short time she found the financial rewards of working more enticing than her University studies. She then worked at I. Magnin (now closed) selling blouses, handbags and jewelry, an improvement, as she no longer had to work on Saturdays. After I. Magnin, Billie worked for RCA/Whirlpool. 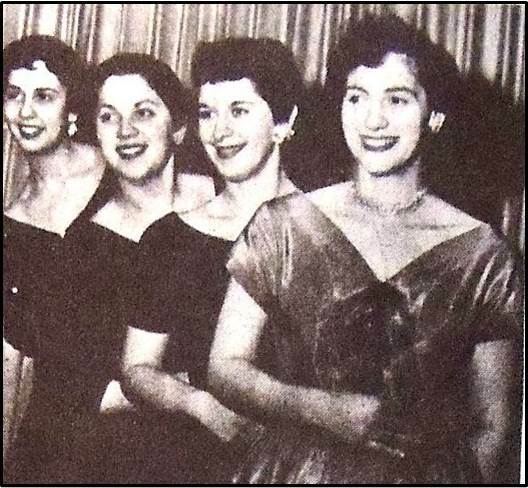 She enjoyed socializing with other Greek youth including Fran and Alice Plumis (see THE PLUMAKIA)and Catherine Neckas (see KEEP THE HOME FIRES BURNING) and recalls overnight trips to Portland to participate in Greek Orthodox choir conventions and rushing back to get to work on time. Steve was not particularly partial to young Greek men with whom Billie might have associated but he did like Bob Larimer, who was not Greek. In 1957 Billie met Bob at a dinner party to which both she and her sister Katie were invited. Katie went home alone. Billie and Bob were married on August 30, 1958, and Bob Larimer supported his children’s upbringing in the Greek Orthodox Church. After that Billie returned to work for RCA/Whirlpool in Seattle until their first child, Steve, was born in 1960. 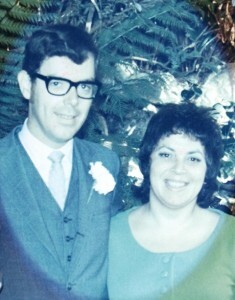 Diane followed in 1963 but passed after a long illness in 2003. Their youngest, Jim, was born in 1964. 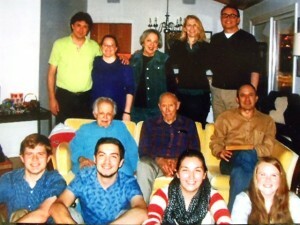 Billie and Bob have four grandchildren. 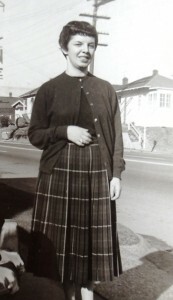 Ekaterini (Katherine) “Katie” was born in Seattle at Swedish Hospital on May 26, 1936. Katie remembers speaking English “from the beginning” and had more non-Greek friends than her older sister. She remembers climbing a steep foot path or running across busy Aurora Avenue and up the hill to John Hay Elementary School. 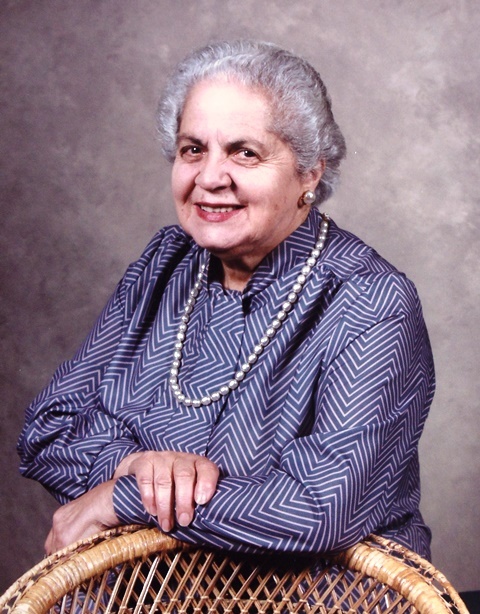 She was active in the Maids of Athena (the young women’s counterpart to AHEPA [American Hellenic Educational Progressive Association]). She also remembers lots of fun at slumber parties with other young Greek women at the Denos home in West Seattle (see DOWN BY THE RIVERSIDE). She graduated from Queen Anne High School in 1954, worked at a credit company for a while, then at Fidelity Electric, a subsidiary of RCA/Whirlpool, with her sister. 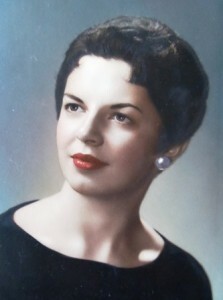 From 1960 to 1964, Katie worked for the Boeing Company before her first trip to Greece in 1965. After her trip to Greece she returned to the Boeing Company as an administrative assistant in the space program. She worked with a team on several missions of the unmanned lunar orbiter program. Her work took her to Pasadena, California, on several occasions for up to five weeks at a time. At a reunion some years later the team members recalled arguing as to who would sign the authorization as women generally did not travel with men. Katie was laid off with many others in 1969 and moved to San Francisco, California, for a change and worked for First California Company, a brokerage firm. In 1971 she met Dennis O’Neil who was also working at the First California Company. 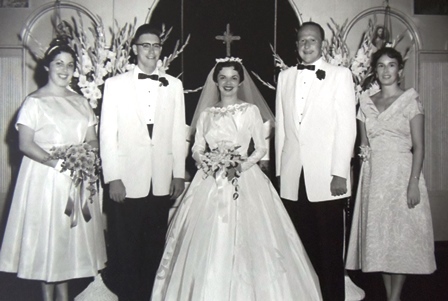 They were married in Carmel, California, on April 22, 1972, in a civil ceremony and again at the Assumption Greek Orthodox church in Seattle on May 27, 1972. When the First California Company went out of business, the couple moved to Hawaii, then to Arizona, and to Seattle in 1977. Katie returned to the Boeing Company until she retired in 1995, with over 30 years with the aircraft company. At Boeing she was a manager in security investigations, in charge of background checks, criminal investigations and worked closely with the federal Department of Defense for security clearances. Katie has served on the Assumption parish council, most recently for four consecutive years. 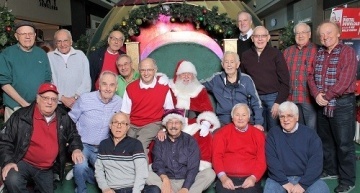 Dennis, a strong Catholic, played the organ at the Assumption for many years. 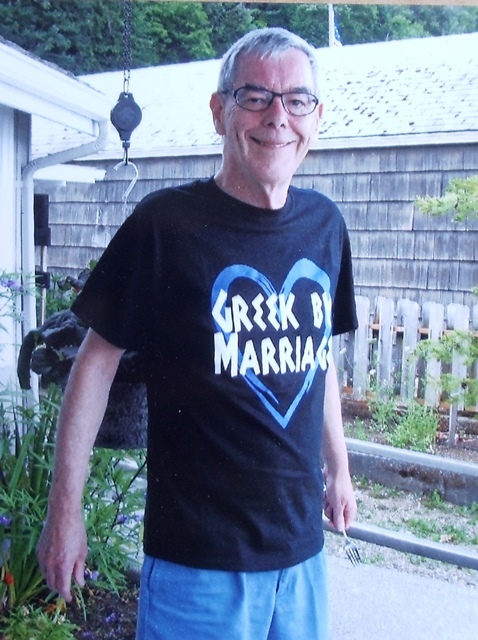 As Dennis once said, “The Greeks are Greek before they are Orthodox.” It may have taken Dennis’ passing in 2013 to bring the Orthodox and Catholics together at one time for his funeral service. Katie remains involved with her Church by volunteering with St. John the Almsgiver (a feeding program for a homeless shelter) and helping with other duties when requested. 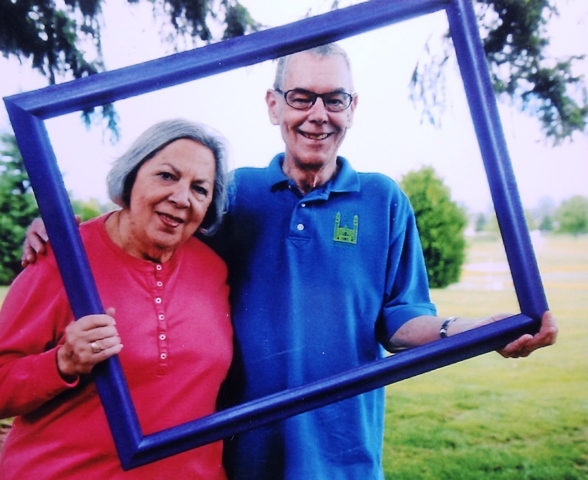 She also enjoys playing bridge and has been working on her high school reunion committee for years and recently (2014) celebrated the 60th reunion of her Queen Anne High School classmates. 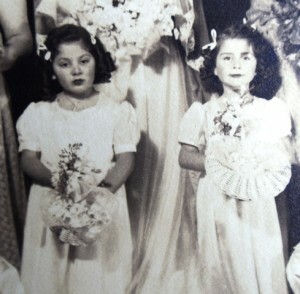 Both sisters “stepped outside of the Greek community” by marrying non-Greeks. While their parents may have wished otherwise, it was not a major issue. Billie and Katie have remained very active in the Greek Orthodox Church of the Assumption in Seattle. Billie remembers life being very full of Greek activities, mostly through the church and with AHEPA social activities. 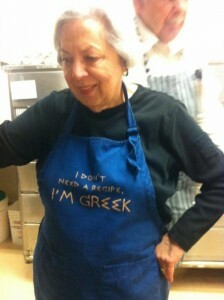 She and Katie both maintain their Greek culture primarily through the food they prepare and eat. Katie believes she is more Greek than she thinks because as a recent widow she feels a bit guilty wearing red nail polish. 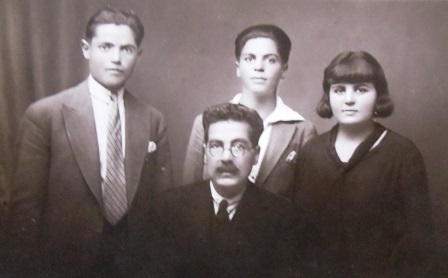 When their mother returned to Greece after her parents’ passing, she was not interested in the family business or property. Rather, she was interested in the rugs in the family home as she had to forego a prika when she left Greece. Now in Katie’s home those rugs have a special meaning for her. Katie relates her Greek school experiences and the antics of her peers in the video segment “Katie’s Greek School Experience.” She also remembers taking red-dyed Easter eggs to school when the Greek Orthodox Easter followed the western Easter by three weeks. Billie and Katie both recall the expectation that young people should respect their elders which is not as common today. 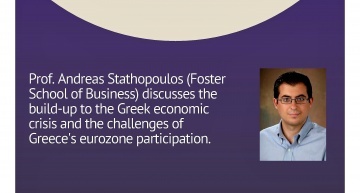 And, certainly a Greek adult would never have been addressed by their first name. The sisters believe young people should do their best to hold on to their culture, even though the generation today is very different from that which Billie and Katie experienced. A favorite saying of Billie’s is rota rota pas ti poli (ask, ask and go to the city) meaning if you are lost, ask and ask and you will get where you want to go. 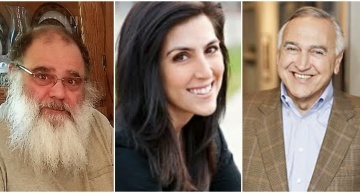 Katie remembers o benakis to fianakis (in one ear and out the other) and agapa ton filoasou me ta elatomatatou (love your friends with their idiosyncrasies). 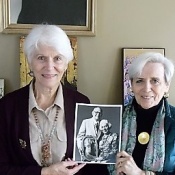 While visiting Greece has been an enjoyable experience for the Babunes sisters, they are very grateful for their lives in America. Billie and Katie would simply like to be remembered “pleasantly,” even though it may not make a difference once they have passed! 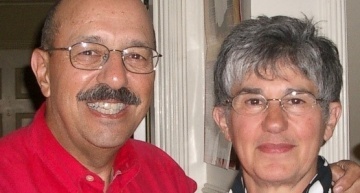 “It’s just part of who we are.”Sisters Mary Lou Barton and Joanne Zarkades contribute innumerable hours to their church, not out of obligation but, just like their mother, it is just part of who they are.